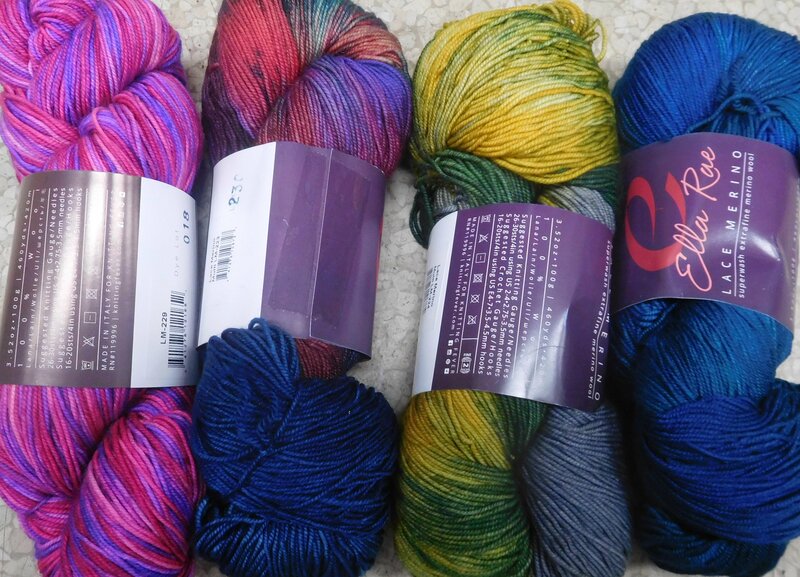 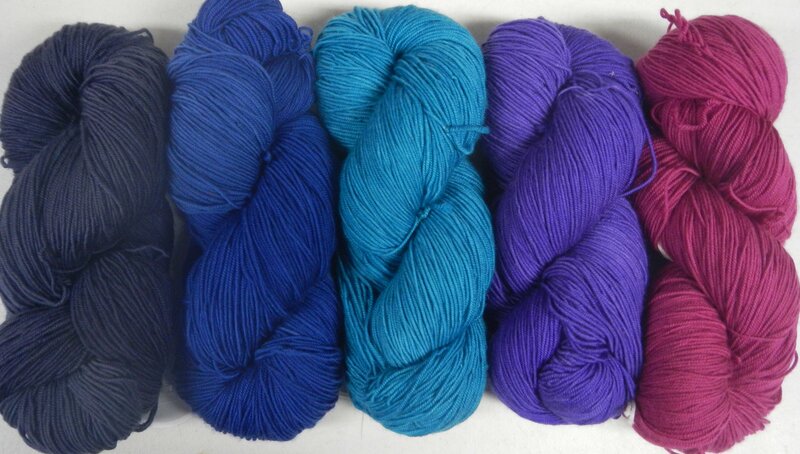 This lovely yarn features 460 yds in a skein and knits at 7-7.5 sts/inch on a US 3-4. 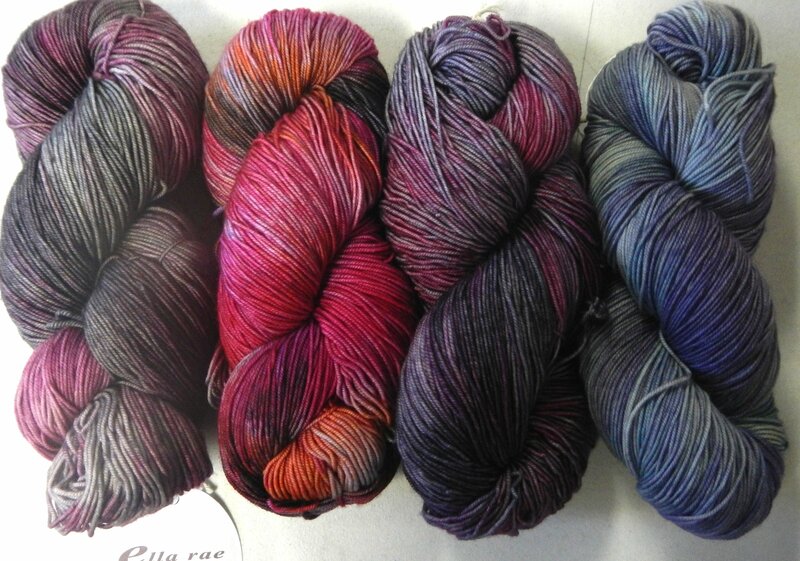 It has an incredible lustre that the photos don't quite capture. 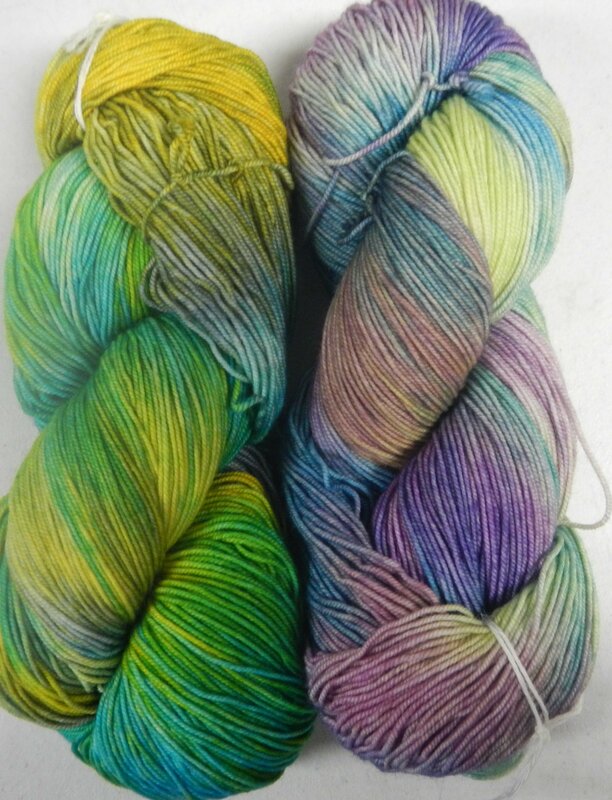 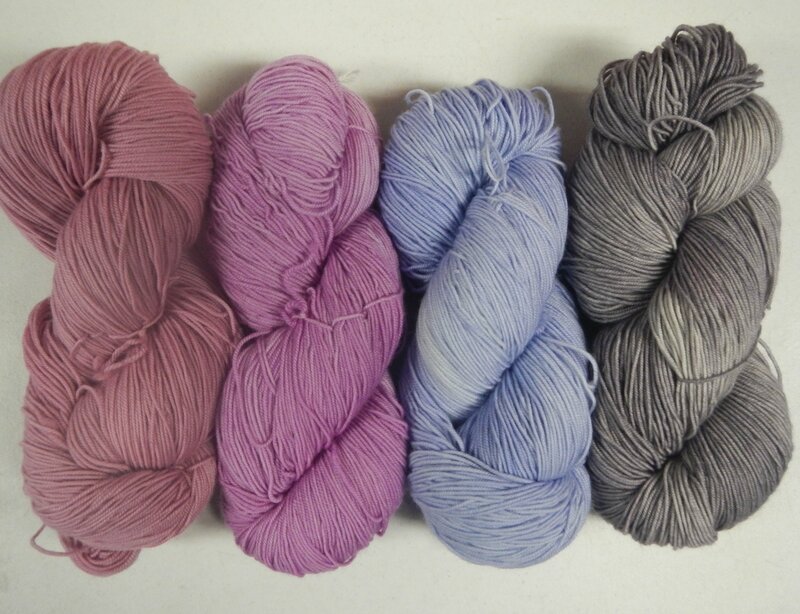 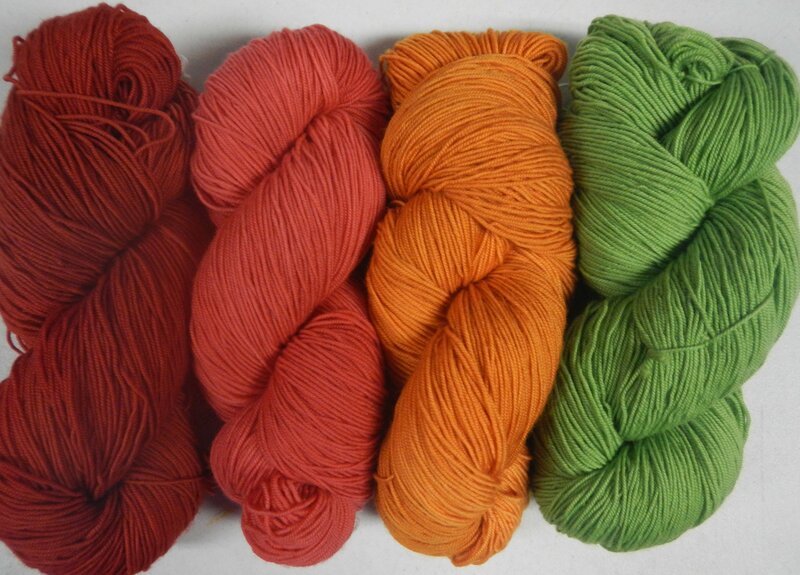 Wonderful "spring" in this soft merino. 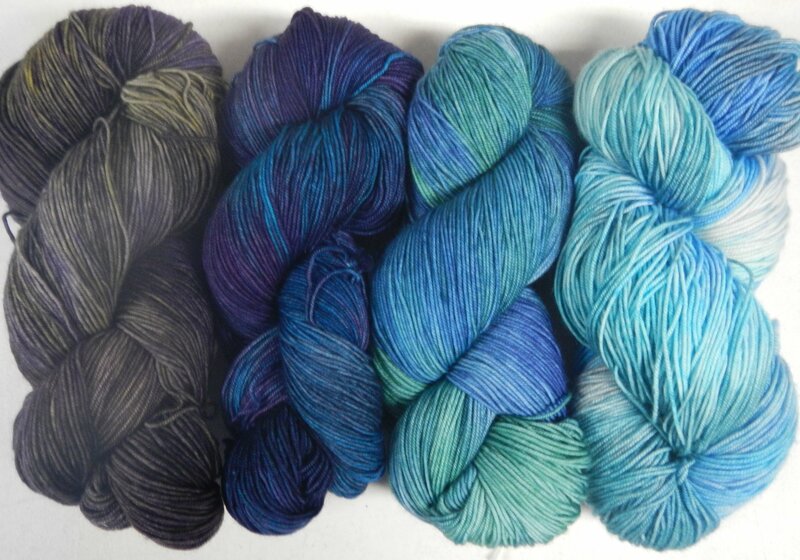 The new solids, shown in the right photo, have a slight tone on tone variation to them and they are nicely saturated Machine washable on gentle cycle. 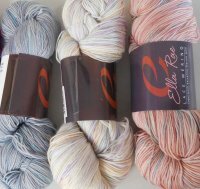 It took just 1 skein for the simple triangular shawl (pattern free with yarn purchase)Ella Rae Lace has also been really popular for wristlets and gloves and just 4 sks made a lovely lightweight cardigan (great pattern support for these). 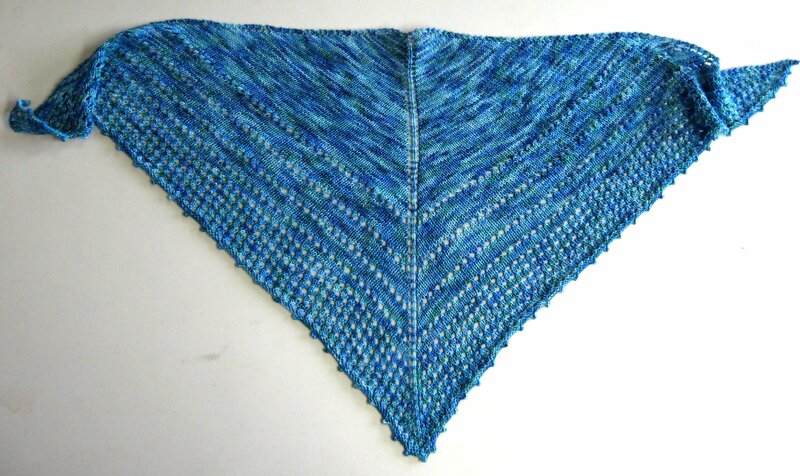 The shawl shown in 2 colors is a pattern from Raverly called Sundry. 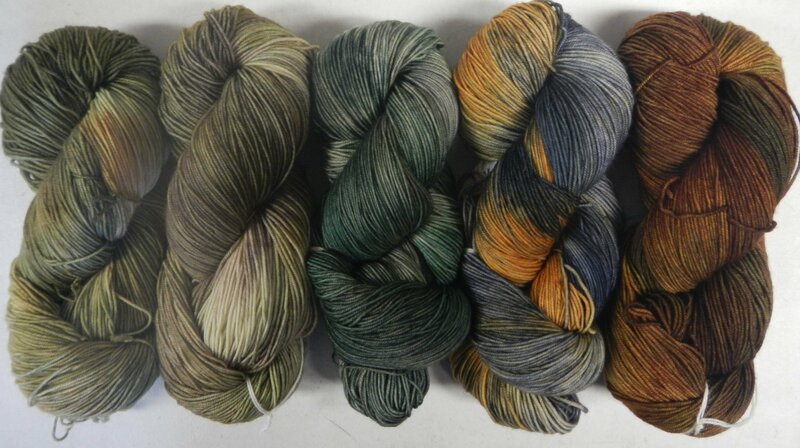 It took 1 sk each of 2 colors.